The Coaching Fellowship provides 50 young high potential women with professional executive coaching at a massively reduced rate so they may focus deeply on personal development, attaining their goals and changing the world in the process. Fellow positions are available to young professional high potential women who by their work and aspirations are transforming the planet. The fellowship program consists of three months of coaching (usually via phone/Skype) with our experienced and certified coaches with the expressed goal of changing you and your life. You start with an initial two hour discovery session (to define goals, explore values, identify triggers, barriers and your purpose). You meet with your coach either weekly for 30 minutes or biweekly for an hour to work on your goals and overcoming any hurdles you may face. Your coach will guide you through the process, hold you accountable, challenge you, provide feedback and give you items to work on in-between sessions. Typically such a program costs between $1,500 and $4,000. Through our coaches and sponsors we are able to offer you this program for only $25 per hour of coaching (a total of $200). For those of you who can’t afford this small fee (which is mostly for you to put some skin in the game – we found this to be important), we offer sponsored spaces. Please ask! The Coaching Fellowship is open to any woman between the ages of 25 and 35 based anywhere in the world, who wants to transform our world for the better. Coaching is an interactive process that helps expand a way of thinking, deepen learningand create more options to consider. It is a collaborative process between an individual and coach that works to create the desired outcome. As a result, an individual will set clearer goals, identify barriers that get in their way, take more action and make better decisions. 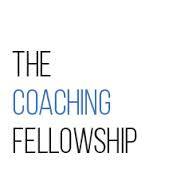 Posted on June 11, 2014, in Africa, Career, Entrepreneurship, Fellowship, Global, Social Entrepreneurship and tagged Call for applications: The 2014 Coaching Fellowship program, Coaching Fellowship, http://thecoachingfellowship.com/, professional executive coaching, The Coaching Fellowship. Bookmark the permalink. Leave a comment.